The Ozeki Nano Module is basically the Ozeki version of the Arduino Nano. This is an open source board, with all the files needed for manufacturing. You may also freely modify the design. The Ozeki Nano Module is basically the Ozeki version of the Arduino Nano. Even the pins are in the same sequence. You can program it by using the Arduino IDE environment. As a reference you can check out the Arduino Nano specifications. It has a micro USB port, which is compatible with mobile phone USB cables. A reset button can also be found on this module. The ways you can apply this module is limitless. If you ever used an Arduino before, you will know the possibilities of this device. If you are new to microcontrollers you can start with our product. You can connect sensors and actuators to the Ozeki Nano Module to test out your C++ codes. Most of the devices you can connect to Ozeki Nano Module have their own device library so you can easily program them. The module connects to PC via an USB to serial converter chip (CH340G). 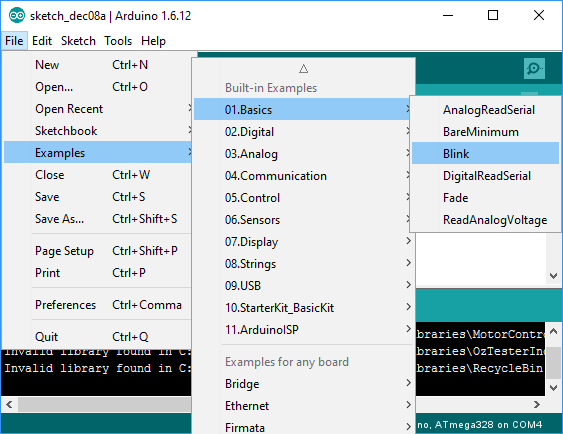 You can find plenty of example codes in the Arduino IDE. For a start we advise 'Blink' in the '01.Basics'. It will blink the LED on pin 13. 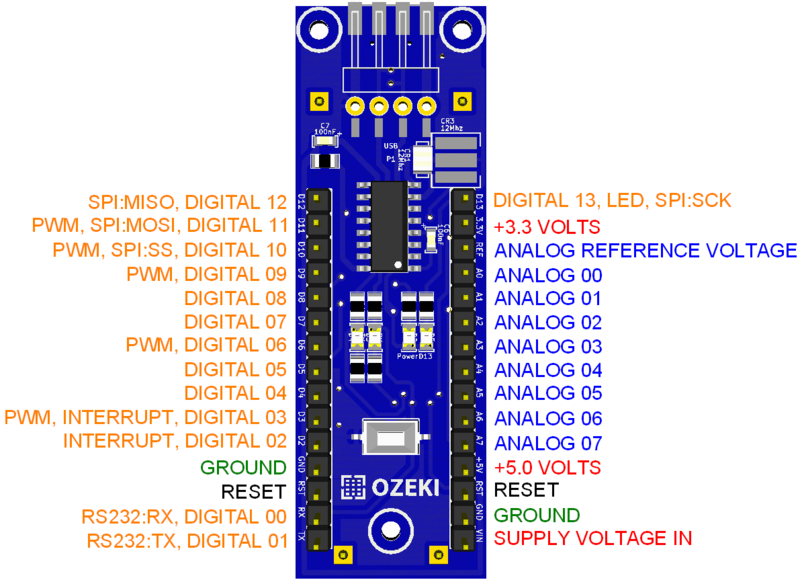 Pin 13 is the built in LED of every Ozeki Processing Module.